You’re not the only one that can re-purpose Mountain High tubs as food containers. In fact, you’re not the only species. 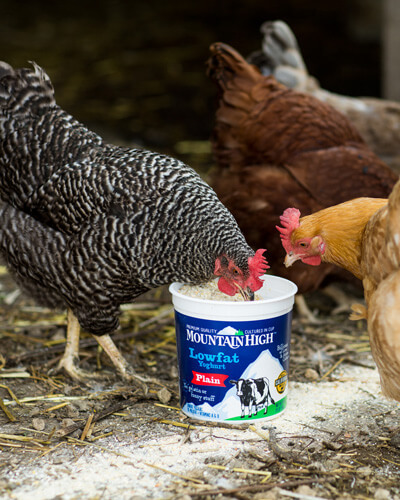 If you have a coupe or a farm make sure to save your “animal safe” leftovers in your used yoghurt tub, combine with your favorite feed and serve up to your chickens.